Weather restricts the entertainment but three points make the day worthwhile. The fear before the match was that the high and unpredictable gusts left over from storm Gareth would negate the gap between these two teams in the league table. It almost did as Ware went to sleep in the final ten minutes and nearly surrendered a three goal lead. For probably the first time this season this was not a game to enliven the watching crowd. Neither side really got going, with any high pass being buffeted, deviated, lengthened or shortened at the caprice of the wind. The ball needed to be kept on the ground but sometimes the temptation for a long pass for forwards to run on to could not be resisted with inevitable results as the ball ran out of play. The visitors looked uncomfortable at first but after five minutes Gabriel Ghinea's shot needed Calum Kitscha to be alert as he saved at the foot of his post. Ghinea was to prove an asset to his side throughout the game until he was rested in the second half. His ability to spot an opening and exploit it with a long pass to either wing turned Ware quickly from attack to defence. Ghinea was aided by George Taban, another intelligent and experienced player who also put in a good shift for the whole ninety minutes. Despite the conditions Ware did have the better of things for much of the game but they couldn't exploit this until just beyond the mid point of the first half. A throw in on the left led to Dave Cowley's stinging shot that Adrian Darabant palmed up into the air. As it looped down into the six yard area Jack Daveney was waiting and, under pressure, he headed home for the lead. Albert Adu had a chance to make it two but his effort was well saved by Darabant though the rebound seemed to offer Brandon Adams his own opportunity. Forced wide however he could only turn his shot into the side netting. Any wind at Ware usually blows across the pitch rather than along it offering no advantage to either side but in this game it refused to abide by tradition. At the start of the second half at least there was a suggestion that the elements had turned in direction sufficiently to aid the home side. For once a long ball forward after 50 minutes was held up by the wind and dropped invitingly to Adams in the penalty area. The number nine needed no further invitation and turned to volley the ball over Darabant's outstretched arms and into the top of the net for 2-0. The game then appeared to be settled ten minutes later when Adu, once again working tirelessly in midfield, slipped a pass through to Cowley in the area. The club's top scorer made it 19 in cup and league games this season, sliding the ball under Darabant's dive. Thought's that Ware might drive on to repeat the margin of their away victory against the same opponents never really materialised. Instead Paul Halsey took the opportunity of a seemingly winning position to withdraw Gareth Madden and bring on new signing George Casey for his debut. Ware continued to plug away and Adu's long range opportunist shot from distance wasn't far wide with Darabant a spectator. Adams also had a chance after being put through by Cowley but the keeper saved at his feet. At the other end the Ware defence was in a tangle after 72 minutes but the ball was eventually cleared and all seemed well. So it was until ten minutes later when a free kick from outside the Ware area hit Kitscha's right post and rebounded across the goal face where Cristi Iacob was on hand to score. In the dying minutes a Tommy Wade shot after he took the ball past three defenders was saved by Darabant though, with hindsight, Wade might have done better to pass to a well placed Jordon Watson. Instead the visitors had the last word when Roddy Lemba fired home. 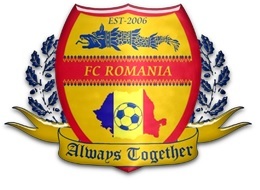 With more time FC Romania might have made things difficult for Ware but the referee blew the final whistle almost immediately after the restart. Ware: Calum Kitscha, Charlie Yexley, Williams Danquah, Tom Bruno, Bradley Fraser, Gareth Madden (George Casey 69mins), Jack Daveney, Leigh Rose (Jordon Watson 53mins), Brandon Adams (Tommy Wade 74mins), Albert Adu, Dave Cowley. Unused subs: Frazer John, Dominique Njoya.